The film ELENA has won yet another award. The documentary was chosen as the best in its category at the Los Angeles Brazilian Film Festival, which took place from September 8th through 11th of this year. 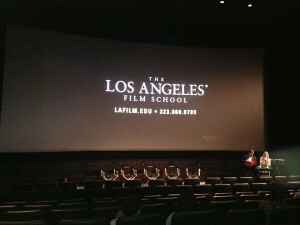 The Los Angeles Brazilian Film Festival occurs annually since 2008, and promotes Brazilian audiovisual production in the film capital of the world, Hollywood. ELENA has also received awards at the 45th Brazilian Cinema Festival of Brasília (best direction, best editing, best art direction, and best film by popular jury, all in the documentary category), 28th International Film Festival of Guadalajara (honorable mention), 9th International Documentary Festival ZagrebDox (honorable mention), Films de Femmes 2013 (best documentary), and the 10th Planete + Doc Film Festival of Warsaw (Canon Cinematography Prize).